The team at Quality Glass is ready to roll. Contact us and Start Your Career! Quality Glass & Mirror Service, Inc. has grown to be a recognized leader in quality glass and aluminum products and services. We have invested in top of the line tempering, insulating, cutting and fabricating equipment. Whether you need one piece of glass cut or have a large commercial or residential project, you will experience the difference; shorter lead times, product of the highest quality and extremely knowledgeable customer service representatives, production & equipment technicians and installers. Since 1985 Quality Glass & Mirror Services, Inc. has been providing products to a wide variety of customers both retail and wholesale. We manufacture, deliver and install our product locally and deliver to a five-state region. Quality Glass & Mirror Service, Inc. is your single source custom glass and aluminum, manufacturer, retailer and installer. We have been providing the best glass & aluminum products fabricated by highly trained technicians since 1985. Your products are delivered on time and installed by skilled professionals. Visit our showroom, bring your ideas and our customer services representatives will work with you to make your design a reality! 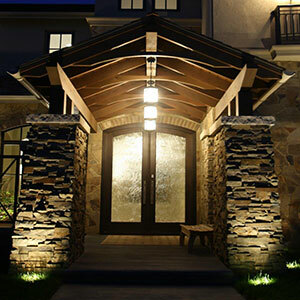 We have a wide variety of customers, from homeowners and interior designers to home builders, architects and contractors. We truly understand our customers have a choice and we never take that for granted. Our staff treats every customer with respect and professionalism no matter how large or how small the project may be. Getting the job done right the first time is at the very core of what Quality Glass stands for. Our products and services include Custom Bath & Shower Enclosures, Heavy Glass for many uses, Custom Mirrors, Pattern Glass, Painted Glass and much more! Quality Glass & Mirror Services, Inc. has more than three decades of experience in distributing and fabricating custom architectural glass and aluminum products. 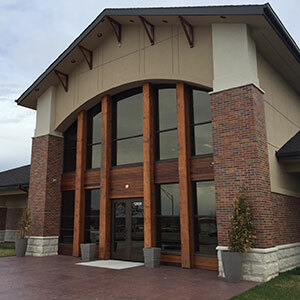 We partner with the best float glass, mirror and aluminum manufactures such as AGC Glass North America, Cardinal Glass Industries, NSG Group, PPG Industries, Saand Inc. and Tubelite Storefront & Entrances. Quality Glass manufactures and fabricates glass and glazing products for the end user as well as wholesalers and commercial glazing contractors. Our Product line includes; Insulated Glass Units, Tempered & Heat Strengthened Glass, Laminated Glass, Custom CNC Fabricated Heavy Glass, Fire-Rated Glass and Pattern Glass.